Psychotherapy is defined as psychological treatment or therapy of an individual, family, couple or group by a trained professional or group of professionals. This can be a psychologist, psychotherapist, counsellor, or any combination of the three. Psychotherapy focuses on interactive exploration of thoughts and behaviour, implementing techniques that assist individuals or groups to function at a higher level while increasing their sense of general wellbeing. The discipline addresses many areas of mental health and wellbeing including marriage and family therapy, mental health counselling, school counselling, play therapy, sound and music therapy, occupational therapy and hypnotic therapy. Psychotherapy can be used as part of a broader program for treating depression, anxiety, eating disorders, aggression, addiction, and self-esteem issues. The increasing role of technology in in Psychotherapy. Face to face interaction plays an important role in psychotherapy. With the current boom in technology and smart phone accessibility, many are turning to their phones, tablets and the internet for self-therapy. 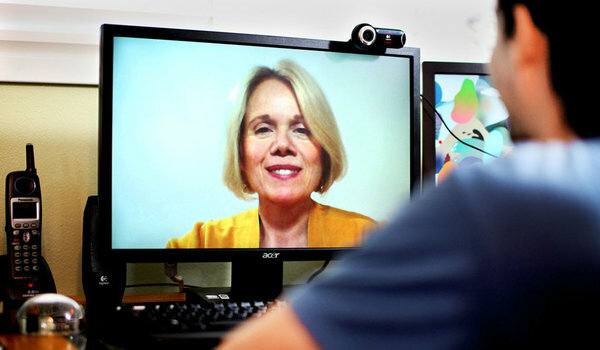 According to an article written for the Huffington Post “Is Technology Replacing Traditional Psychotherapy”, rural communities who may not have direct access to counsellors or therapists but are increasingly gaining access to technology are turning to ‘apps’ and one on one therapy over the internet or by text message or video chat. Whilst apps like Skype and Google Hangouts are giving individuals access to therapy that they otherwise might not have, some might find the trend alarming considering the positive impact of person to person interactive therapy through psychotherapy. Research by Kathleen M. Griffins in the Australian Journal of Rural Health does however show that “depression self-help and information programs can be delivered effectively by means of the internet”. The reality is that accessibility of face-to-face mental health services in rural areas can be difficult to impossible. Rural communities often have “a strong culture of self-reliance and preference for self-managing health problems” Kathleen proposes that the internet could offer an essential delivery channel for mental health services in rural areas. Dr Jane Burns from the Co-operative Research Centre for Young People, Technology and Wellbeing says that the internet can provide a positive form of therapy for individuals that otherwise wouldn’t seek therapy at all. She points out that 70% of young people with mental health issues do not seek help for their difficulties. Having grown up with smart phones and the internet, young people can and do use technology to help with mental illness as they find it a comfortable and safe way to do so. ”Is technology the 21st-century vaccine that potentially could help to prevent suicide, depression, eating disorders and substance use problems?’ says Dr Burns. Although it will take time to prove the full benefits and possible drawbacks of technological therapy, the findings do stress the importance of catering to present demand with quality online support systems. While nothing supersedes a real in person interaction, online therapy may be a viable means of reaching a growing population in need of therapy. Online therapy is not currently supported by Medicare deeming it unavailable to many that might benefit from it the most. Hopefully the Australian government will catch up with the times and validate this growing therapy channel. ← Are you caring for a family member or a friend?